We started our meal sitting at the Japanese Sushi Bar. 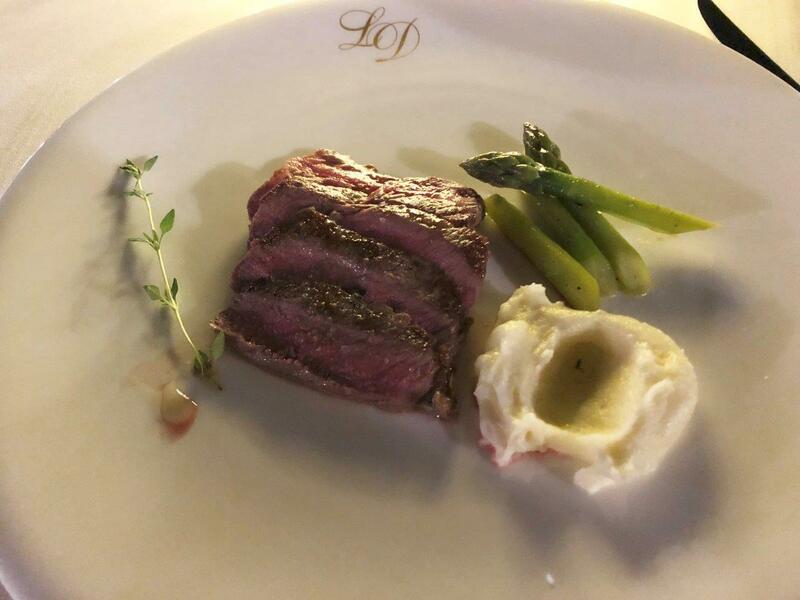 Chef Jose María Viera asked if we had any dietary requirements and then began to prepare a menu of fresh fish and seafood. 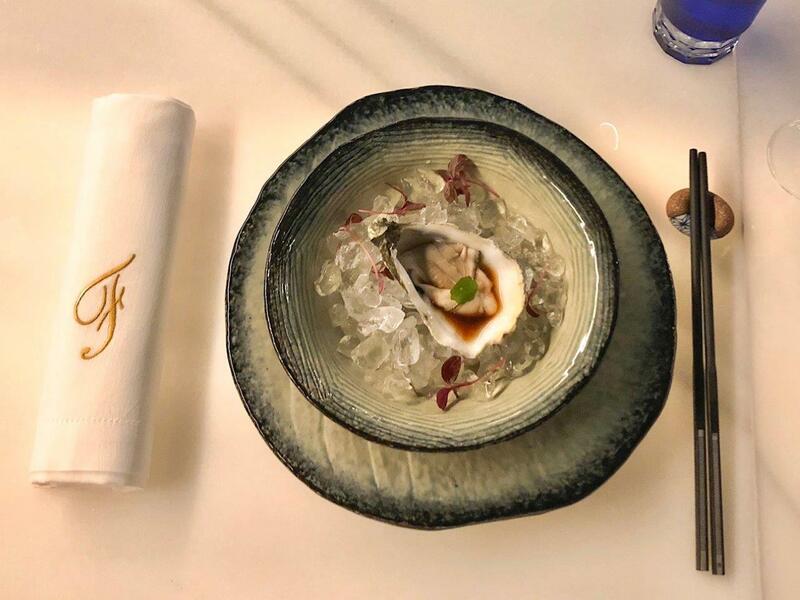 This ‘Omakase’ approach affords the chef the freedom to create signature dishes based on what is fresh-from-the-sea or produce that is in season. You don’t order – you just let the chef create. 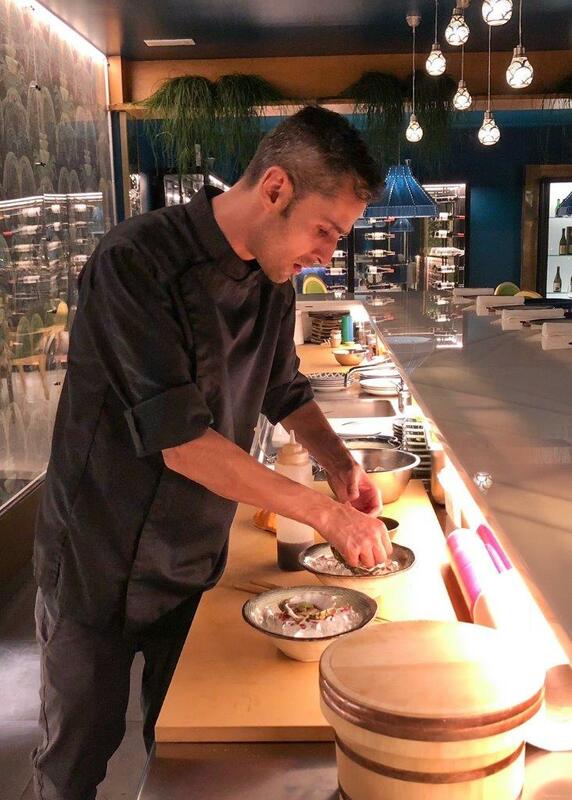 Chef Viera has a long career in Japanese and Asian cuisine and he appears to make light work of preparing the dishes, with great dexterity, refinement and skill. The head waiter and sommelier offered a glass of fine cava as an aperitif. 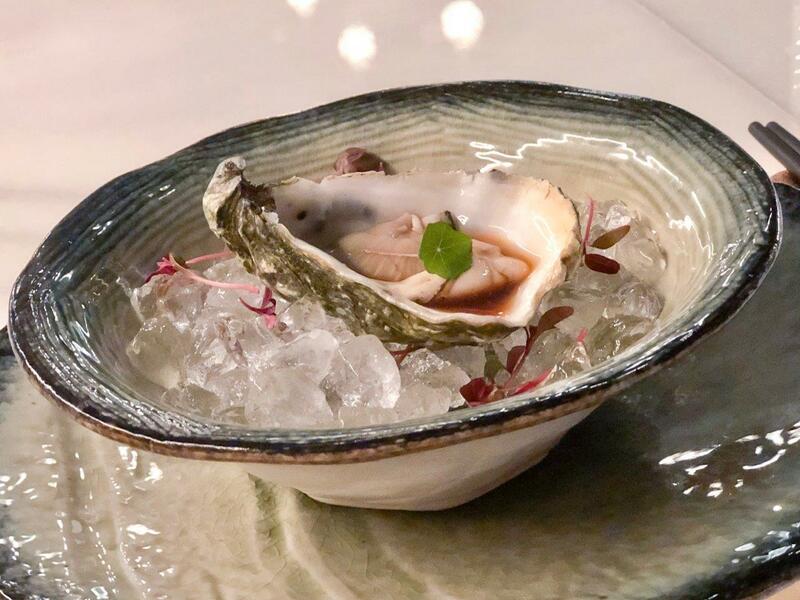 The chef offered us oysters with just a touch of ponzu sauce, on a bed of crushed ice and aromatic micro greens. 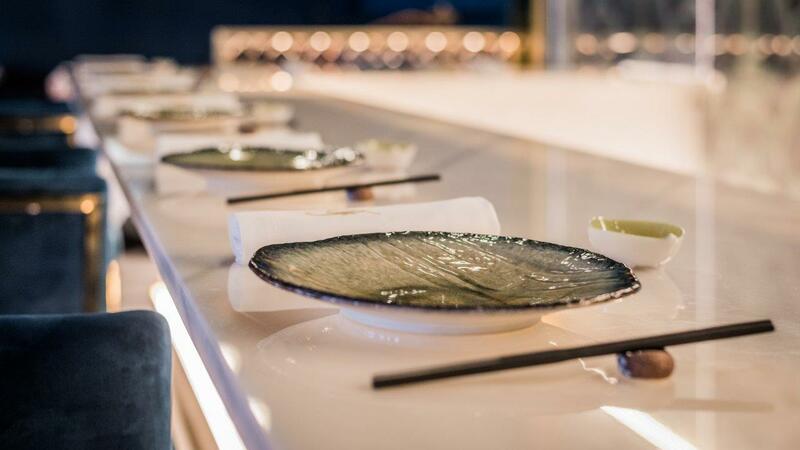 Presentation is all-important in contemporary fine-dining, and at Felix I just loved not only the handmade ceramics for the Asian dishes, but also the aesthetic of the omakase sushi bar. 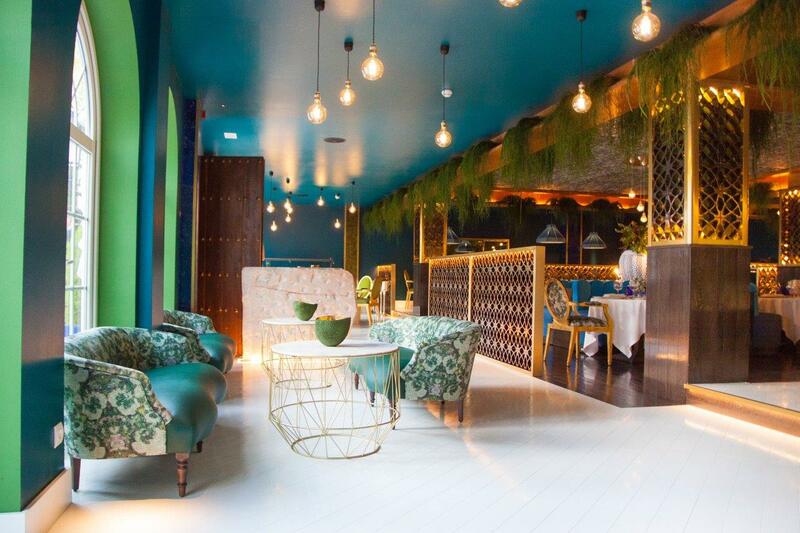 The white marble bar is contrasted with cobalt blue and aquamarine tiles; and deep blue bar stools. 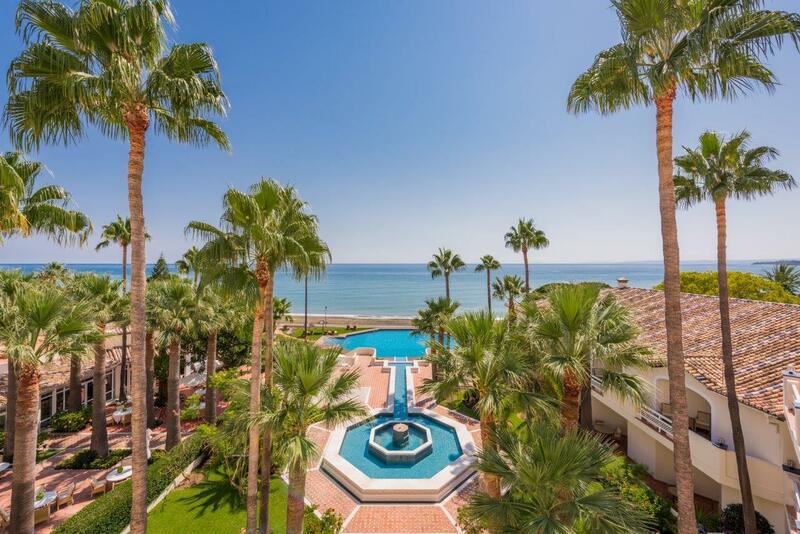 The colours of the earth, the Atlantic Ocean and the Mediterranean Sea. From the ceiling hung pendant light bulbs, each with a delicate filigree design, evocative of north African crafts – appropriate since the coast and mountains of Morocco can easily be seen from the gardens and guest rooms of the property. One whole wall of the restaurant is a celebration of wine & spirits; floor-to-ceiling glass cabinets house a selection of fine vintages. You can expect some fantastic wine pairings with your meal – and some surprises too. You don’t have to break the bank to enjoy a delicious glass with each course. 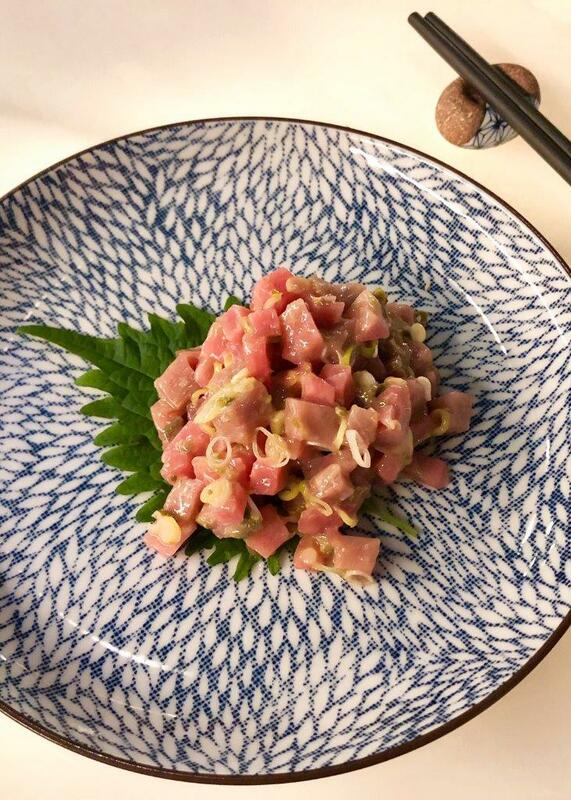 When the second plate arrived, we were recommended a glass of Doña Silvina, a modestly priced, Argentinian Torrontes white wine that was ideal with the red tuna tartar. 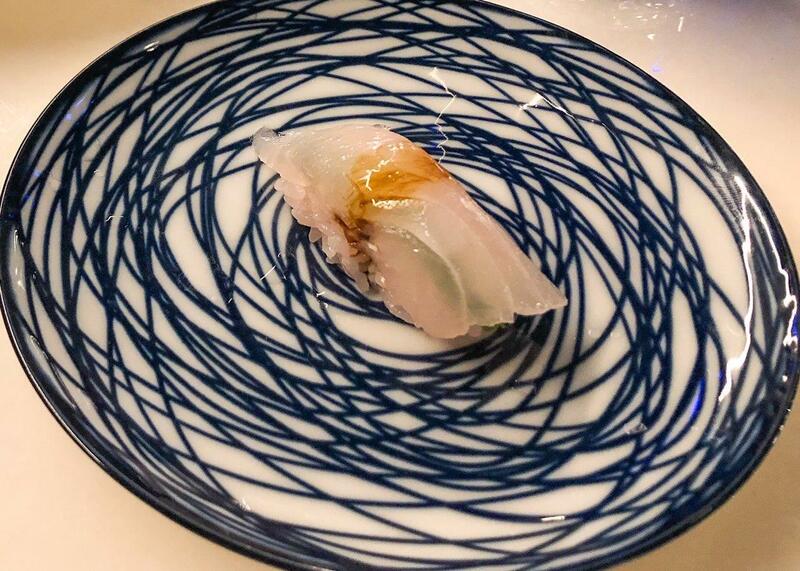 This dish was again beautifully presented on an aromatic shiso leaf, on exquisite Japanese porcelain. The tuna was superb, lightly dressed. 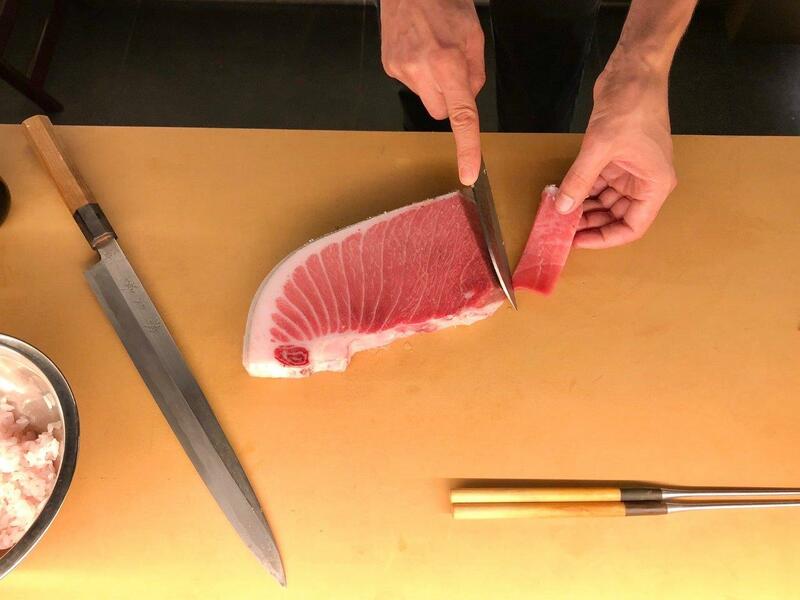 The fishing of prized bluefin tuna has been a tradition off the coasts of Andalucia for millennia. The ritual, still referred to by its Moorish name, the ‘Almadraba’, is a remarkable sight, occurring around May each year as these huge tuna (some can be up to 200 kilos) migrate from the Atlantic to the warmer waters of the Mediterranean. The tuna’s red meat is of exceptional quality. Of the strictly controlled quota of tuna caught, much is flown directly to Japan for world-beating sushi and sashimi. 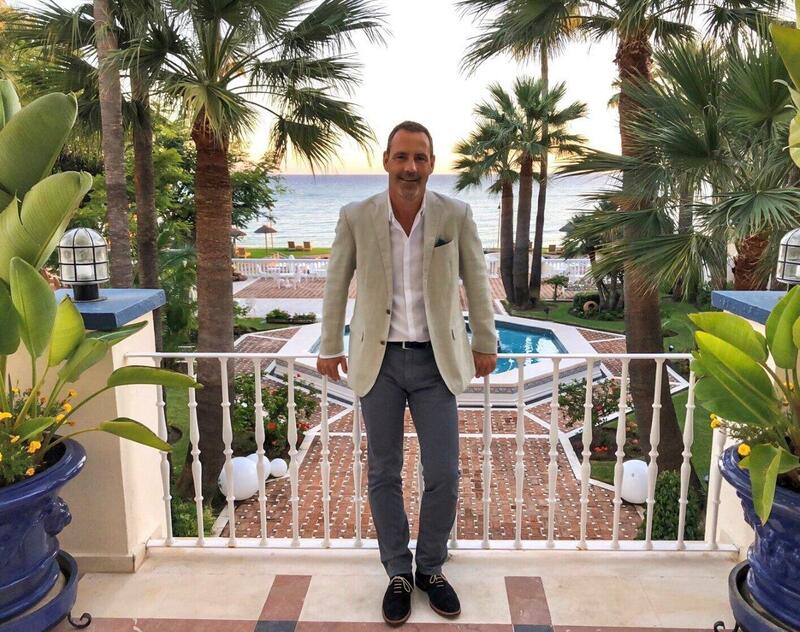 So, it’s a real pleasure to enjoy it in Andalucia at Restaurante Felix. The sashimi plate was quite a surprise. Chef Viera skilfully sliced the tuna wafer thin and placed it on a richly glazed plate and then dressed each piece of fish with dried tomato, and bread crumbs and a splash of extra virgin olive oil. 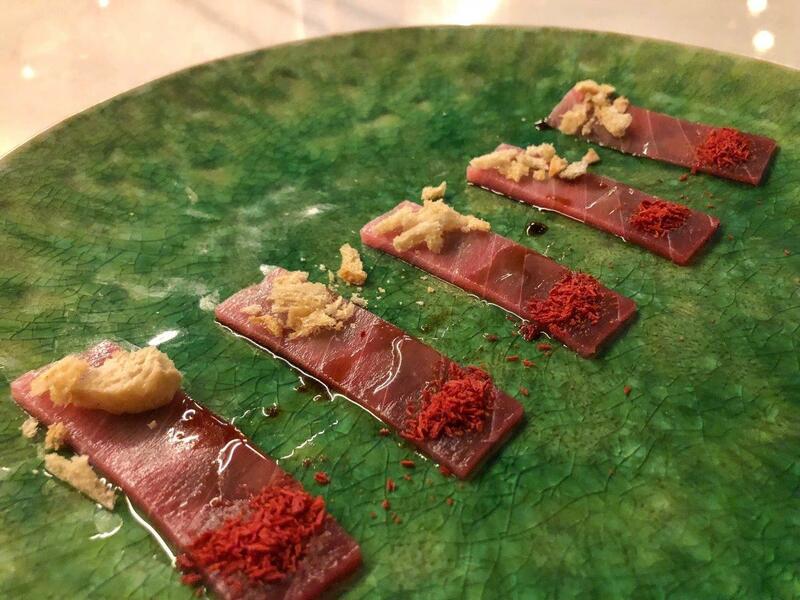 Yes, a very Andalusian interpretation of sashimi, a sort of ‘pan con tomate’ – the burst of intense tomato with the delicate tuna and the crunch of the toasted crumbs really worked. Then as we sat at the bar, enjoying the wine, fresh nigiri were prepared. First, slithers of pristine cod, a favourite in southern Spain, and then a ‘nigiri de toro’, salmon that was slightly seared with a culinary torch just before serving. The quality was superb. 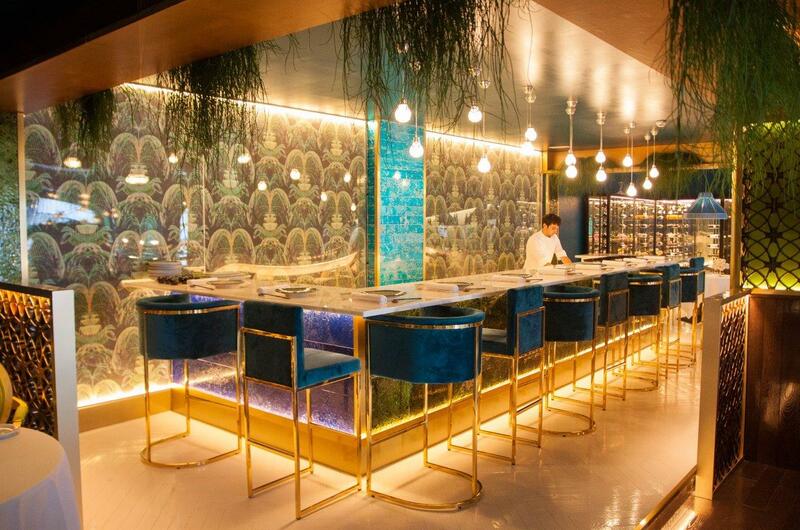 Sushi and sashimi are a popular offering in the chic eateries of Marbella and the western Costa del Sol, but the quality at Restaurante Felix is stand-out; truly excellent. 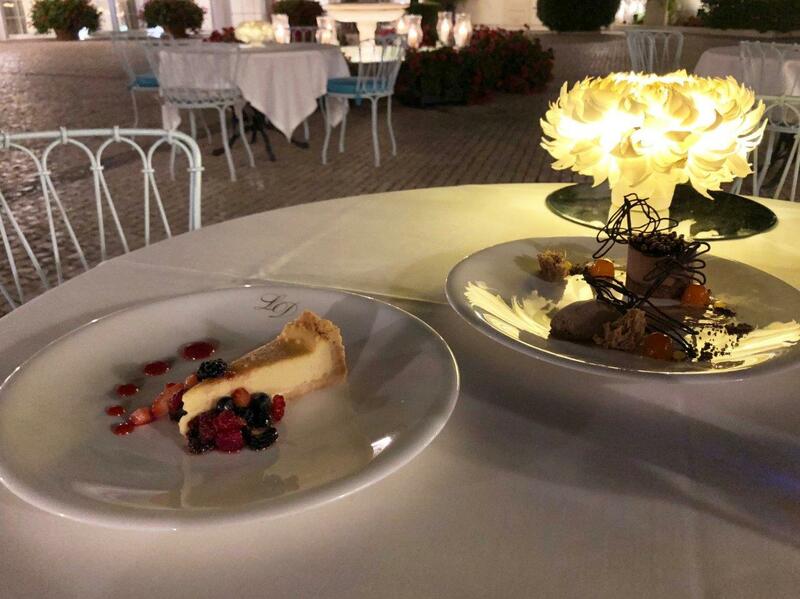 Since we were indulging in a tasting menu, we decided to enjoy the rest of the meal at a table in the courtyard of the Healthouse Las Dunas. 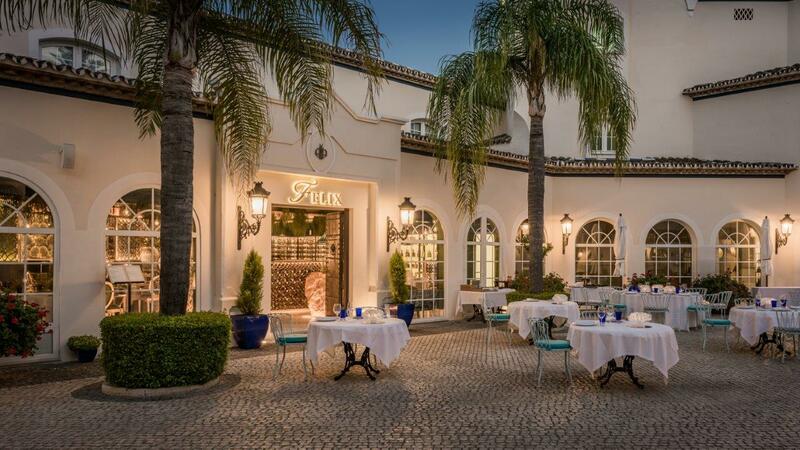 The elegant, somewhat extravagantly decorated restaurant opens out onto the hotel’s courtyard, a glorious Mediterranean space, with potted palms and flowering geraniums. Often, at weekends guests can enjoy live music here too. The table was dressed in flawless white linen with a striking illuminated dried flower as the centre piece. 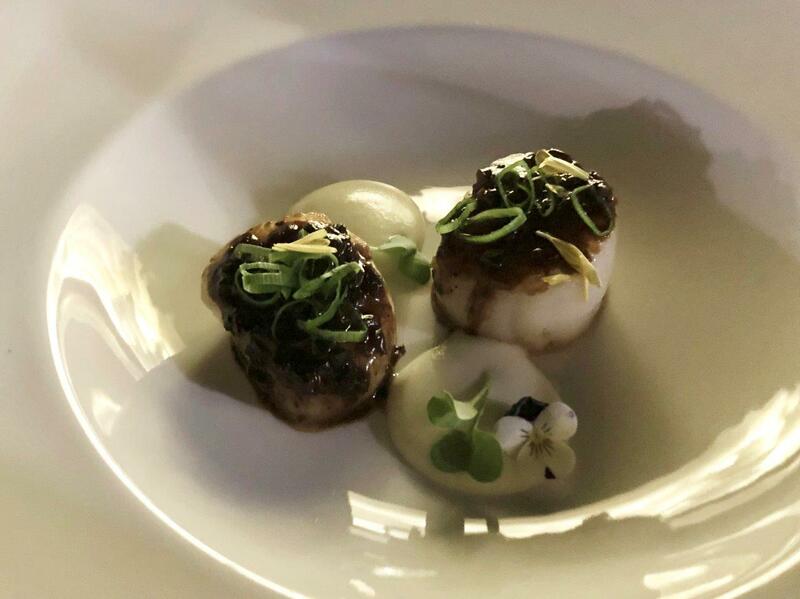 The meal continued; with perfectly prepared scallops; and a fish plate of monkfish (with tarragon mustard sauce, pak choi and baby broccoli), and meat dish of wagyu beef, wonderfully tender and flavoursome. In th candlelight it was tricky to capture the dishes, but here’s an idea of who good they looked. 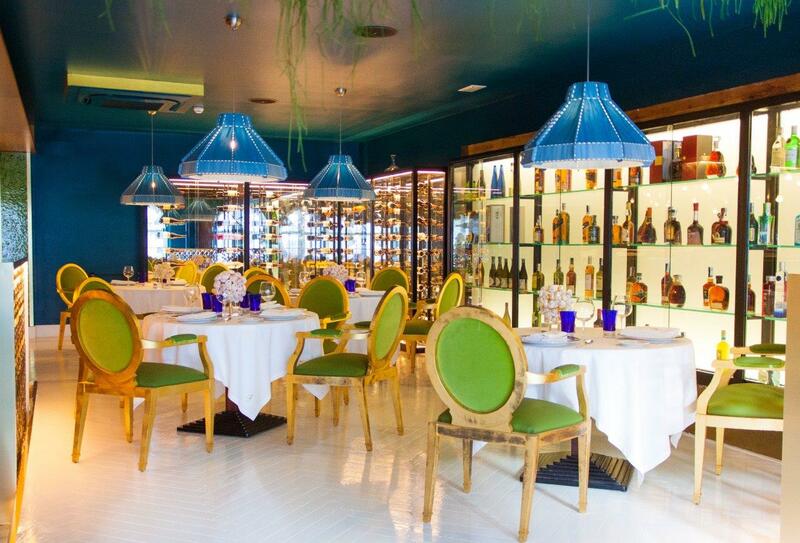 It’s great to see Restaurante Felix back – and also to have a new fine-dining restaurant in the Estepona area. 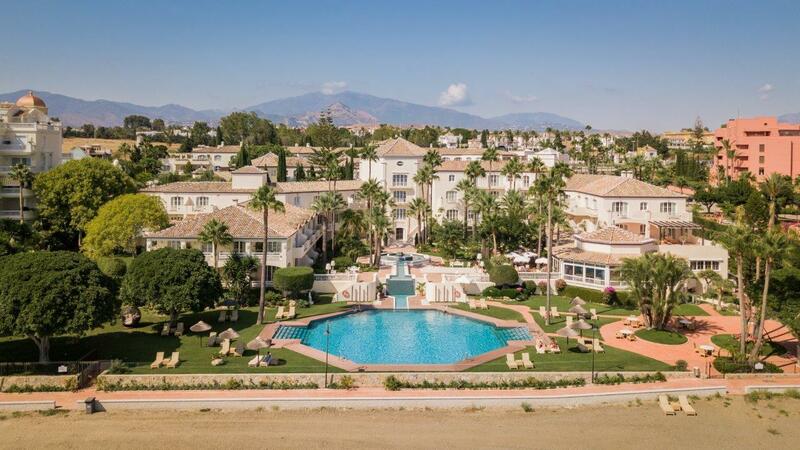 Healthouse La Dunas has been exclusively a wellness resort, so this new restaurant brings a new dining option no only to local residents and holiday visitors, but also to guests of the luxury health hotel. I’m told that Felix retains the resorts commitment to holistic wellness, so ingredients and food preparation reflects their commitment to healthy food. 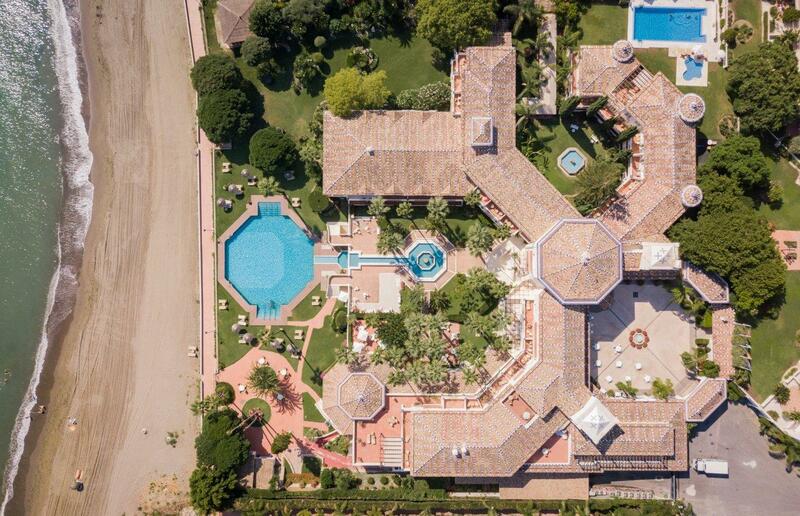 You can read about my stay at Healthouse Las Dunas here. 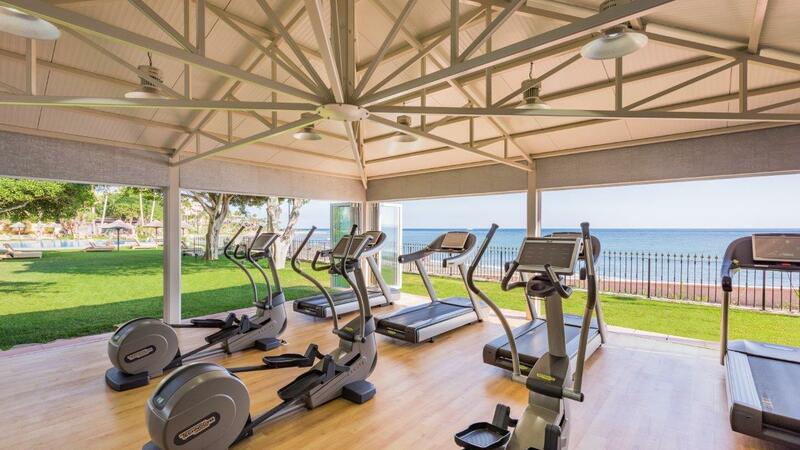 The property has recently opened a new gym for guests with spectacular views, out across the Andalusian coast, the Mediterranean, and on to Gibraltar and to Africa beyond. 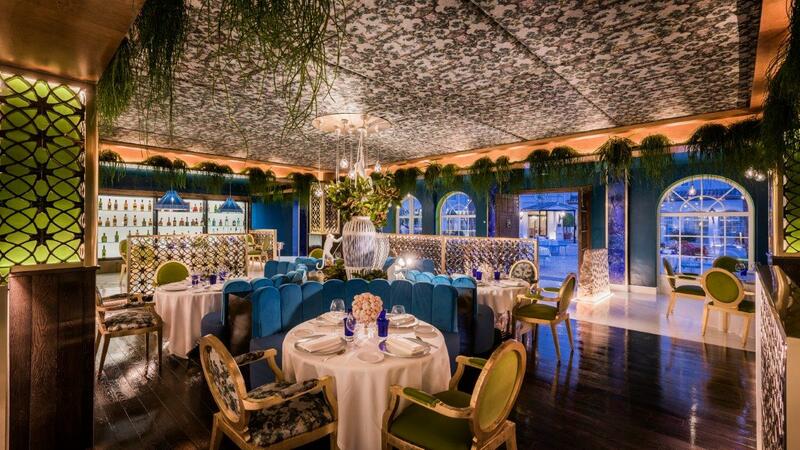 I was an invited guest of Restaurante Felix, but my opinion remains my own – I was very impressed!